Not the CDV! Why is my 2015 GT bucking/lurching? Thread: Not the CDV! Why is my 2015 GT bucking/lurching? Only when I'm in first gear. Only when I'm going slow, like 5 - 10mph, parking lot speed. Lurching violently. Kinda like dry heaves. Not the clutch either, just replaced it. Is this the third post you've made about this? You know you can continue posting in the original and not make a bunch of new threads right? Why don't you take it to the Dodge dealer and have them diagnose it for you? Because you keep lugging the motor. Learn not to do that. Which engine? When were spark plugs last changed? Bad motor mounts? And although you say it's not the Clutch Delay Valve, that sounds exactly like it. Could be a "bad" clutch job too. There is an art to replacing clutches. It's not a brake job. Although, even brake jobs can be done poorly as well. In the case of the Dart clutch system, I would change out all oem components with high grade performance parts. It is the weak link in the line. Thanks to Fiat. Not that GM isn't as guilty. They're just not Italian. Good Luck . Or.... Buona Fortuna . Is it the CDV if the lurching Only happens in First gear and at low speeds?? bucking while on and off the gas, Reverse or in Boost?? 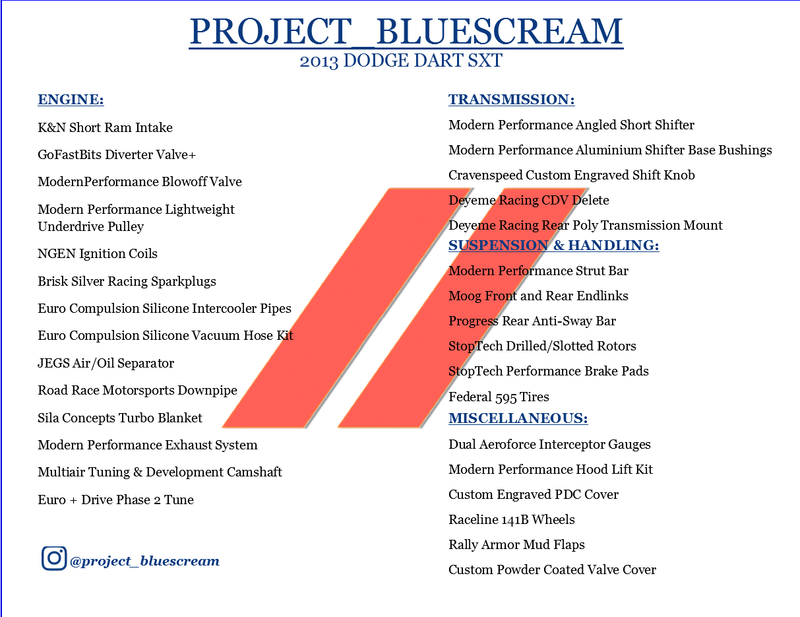 2014 Dodge Dart GT - Clunking, lurching, tempermental shifting, etc.